Welcome to 3CG's class page. Here you will find out about all of the fun and interesting things we have been learning throughout the year. 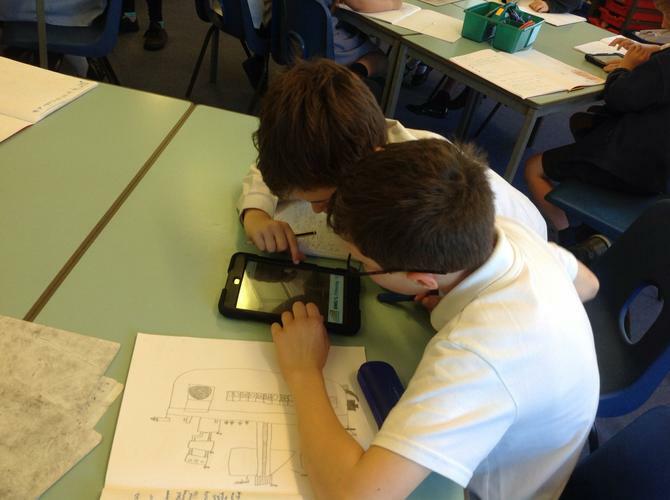 You will find lots of examples of our work and photos of us working hard. 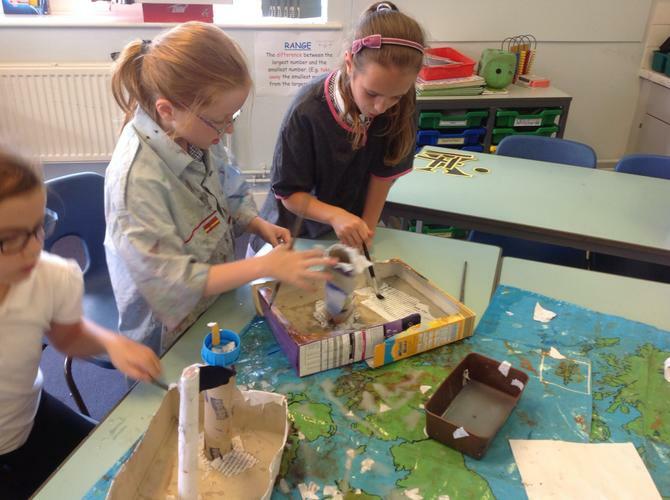 We hope you enjoy looking at our class page, check back for regular updates. We have our own 3CG email! If you wish to contact us please do so with the secure form below-we will be checking it regularly. We welcome your comments and suggestions. 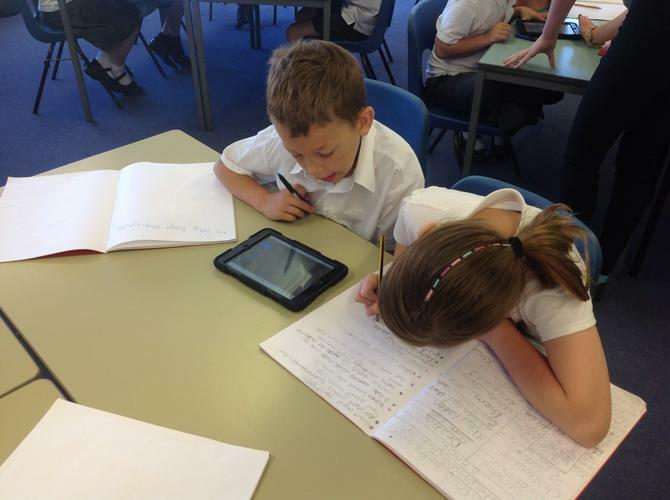 We have been using the new Ipads to do lots of research about Pirates. 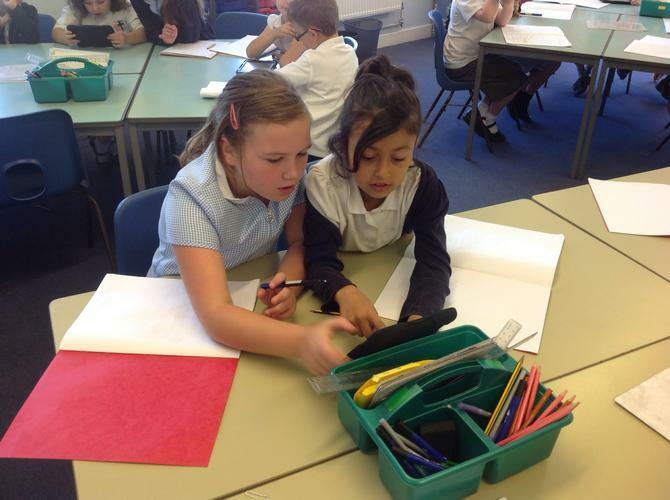 Miss Cook was really impressed with how sensible we were and how much we already knew about how to use them properly. 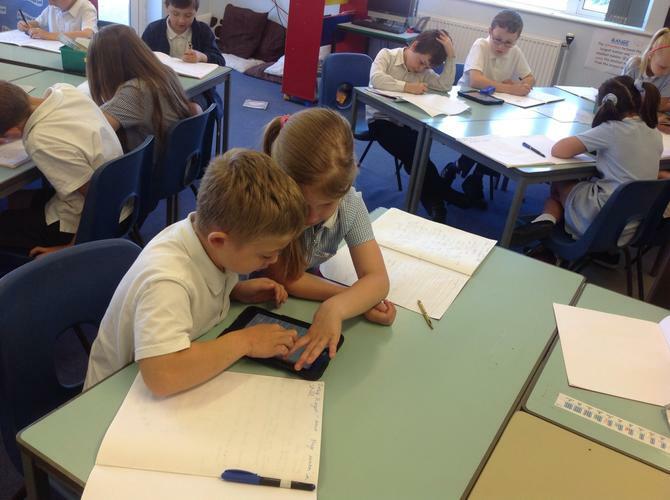 “I enjoyed using the Ipads but you have to be patient when using them.” Charlie. 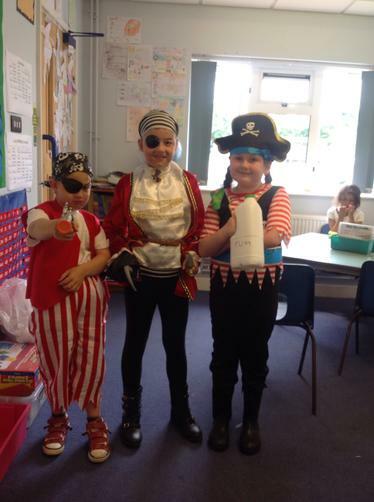 Our topic for the last part of term is all about Pirates. 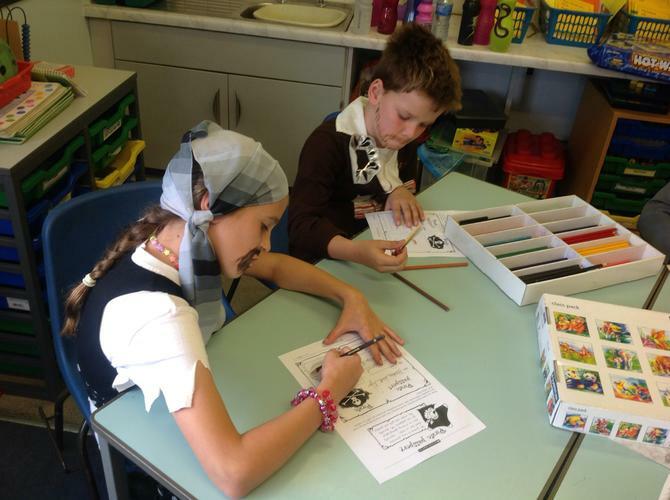 We introduced this topic by having a pirate day and it was so much fun! 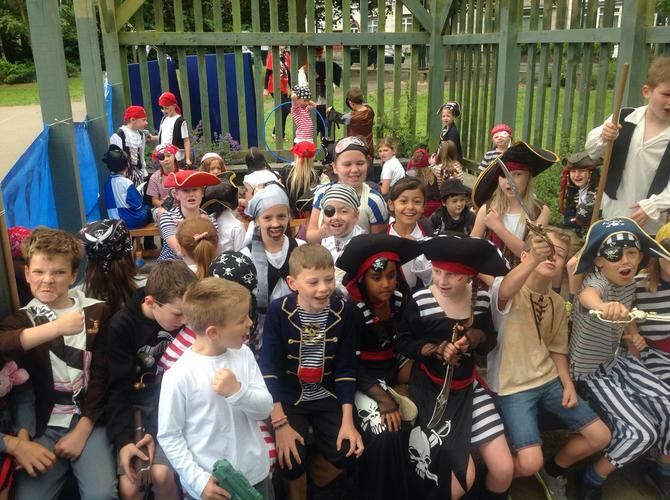 We began the day by climbing aboard the SSJ ship and sang lots of pirate songs. 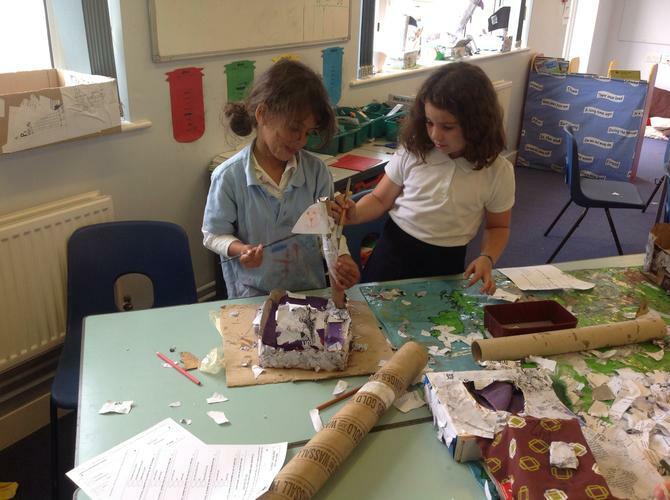 Throughout the day we made our own treasure chests, learned some pirate language, began to make our own pirate ships and even went on a treasure hunt around the school! 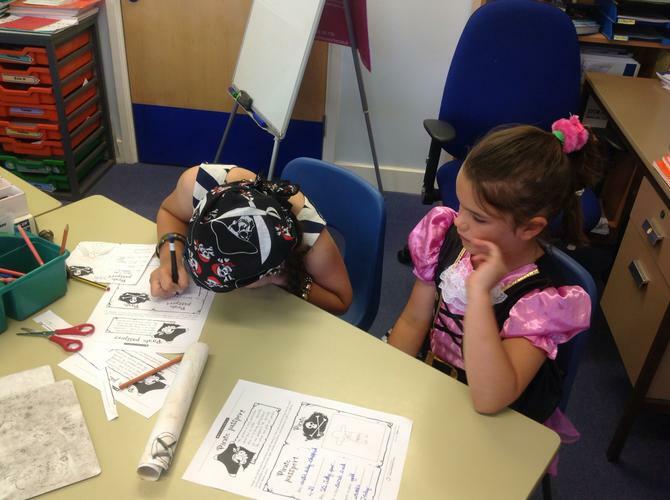 “I really liked dressing up as a pirate; I think it was very good” Lucy. 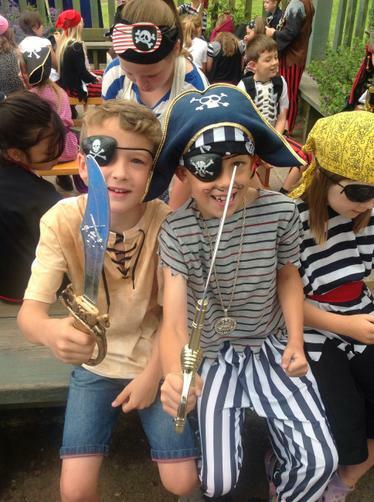 “I really liked going on the massive pirate ship because it looked like a real pirate ship” Kodi. 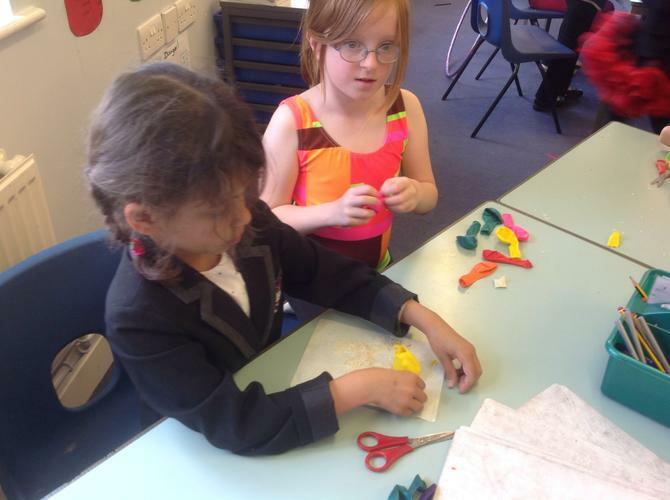 To end our topic on Edward Tulane we designed and made our own version of Edward at different points of the story. We paid attention to the detail of his clothes and how he might be feeling at these different stages. 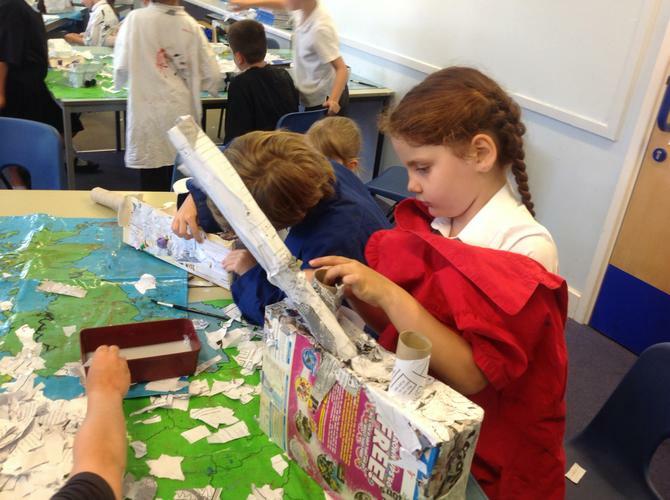 “I really enjoyed making my Edward Tulane because I got to make one of my favourite characters” Bethany. 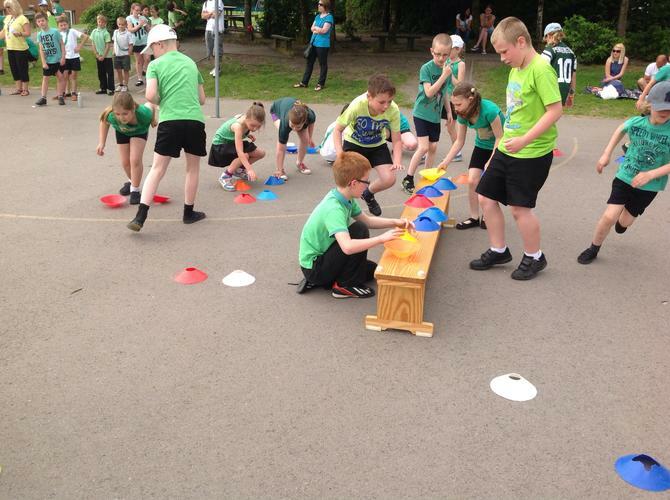 We all participated in sports day and did our very best in all of the events, earning lots of house points. 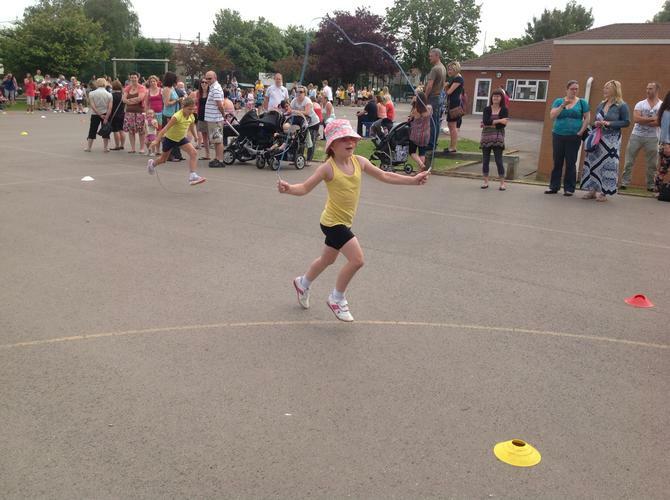 There were events such as skipping, basket ball shooting, sprinting, shot put and many more. It was a very hot day but we all had lots of fun! 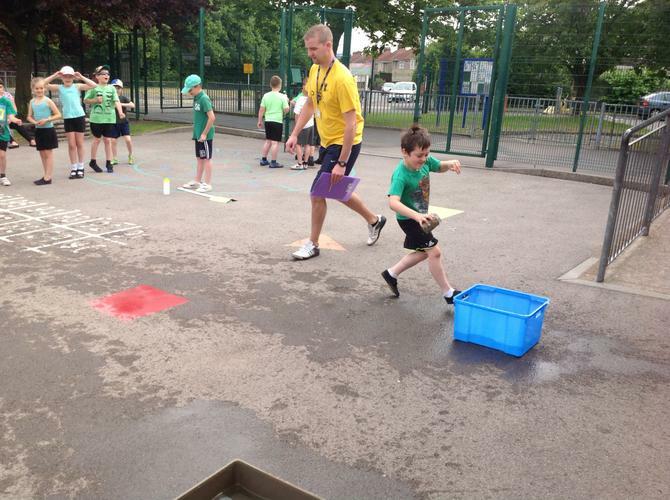 “I really liked sports day it was one of the best days of my life” Dylan. Concentrating on our book in literacy “The Miraculous Journey of Edward Tulane,” we have created some “Storm Art” from one of the scenes from the story. We used techniques such as blending and shading with lots of different materials such as chalks, pastels and wax crayons to create a storm effect. Check out our amazing artwork below! “It was fun and messy to do and it was quite hard to smudge it with pastels, but I am pleased with the results.” Archie G.
This term we have been having a weekly singing session which we have all been finding really fun! 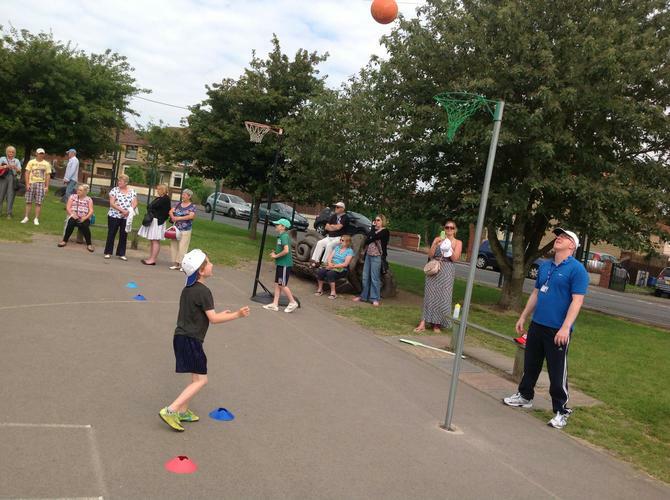 “Every week it is fun and amazing. I love singing with our class.” Kodi A. We have been practising some role play and hot seating in literacy in order to understand the characters in the story to help us with our writing. Below are Sam and Nell getting into role as Edward Tulane-the main character from the book. 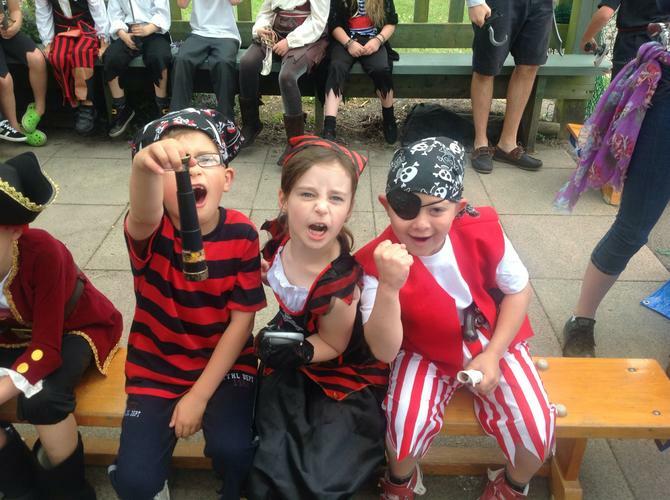 You can use the link below to go and access a poll to vote on some of the activities you would like to do on our pirate day...use your votes wisely! 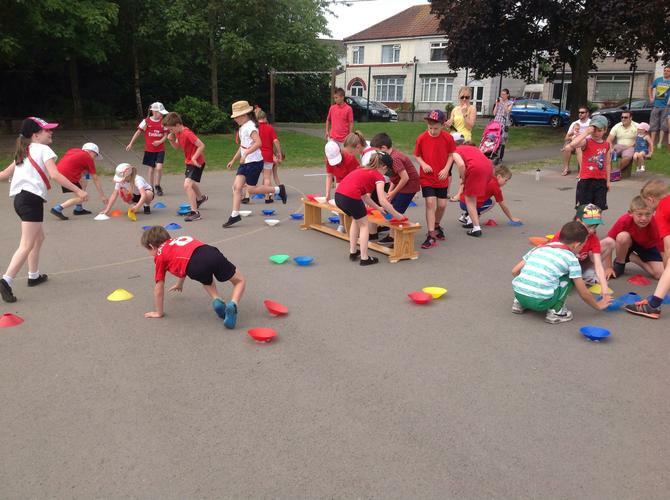 We have been learning how to play golf in P.E this term. 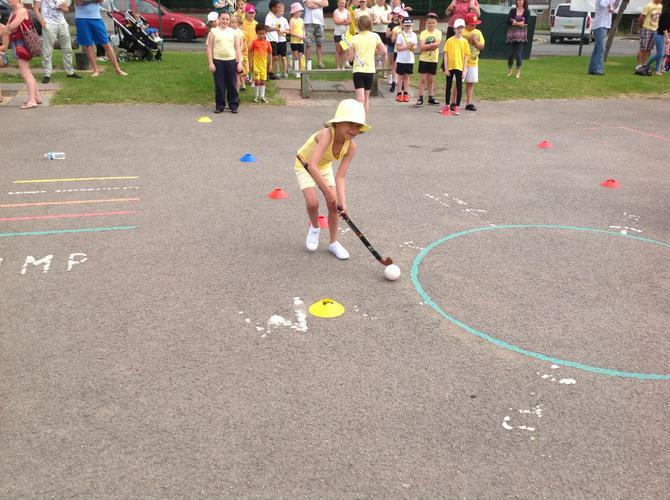 We have learnt a range of different skills from how to hold the golf club correctly, to being able to putt and chip and then lots of different fun games and challenges where we have been earning points for our house teams. During our topic this term we have learned all about the French artist Henri Matisse. We have been looking at how he created his artwork through cutting and sticking unusual shapes to create patterns and we have then had a go at recreating these images ourselves. In literacy this term we have been focusing on a book called “Leon and the place between,” which has led us on to learn all about magic and the circus. After learning all about the circus, we have created posters to persuade people to come to our own circus. Have a look below and decide if you would like to come! 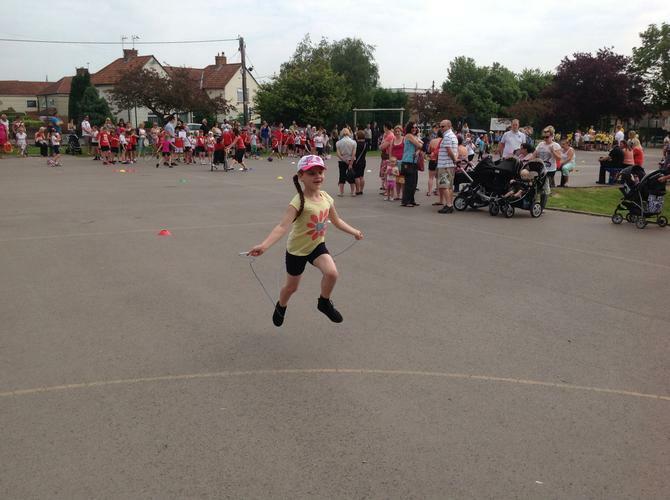 Earlier in the term linking to our book “Leon and the place between” year 3 had their own circus day. 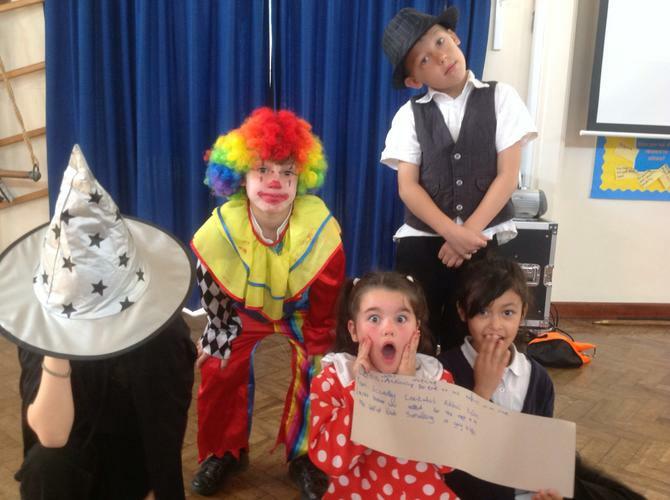 We all came into school dressed as characters from the circus, some of us were clowns and others were acrobats, rings masters and dancers. 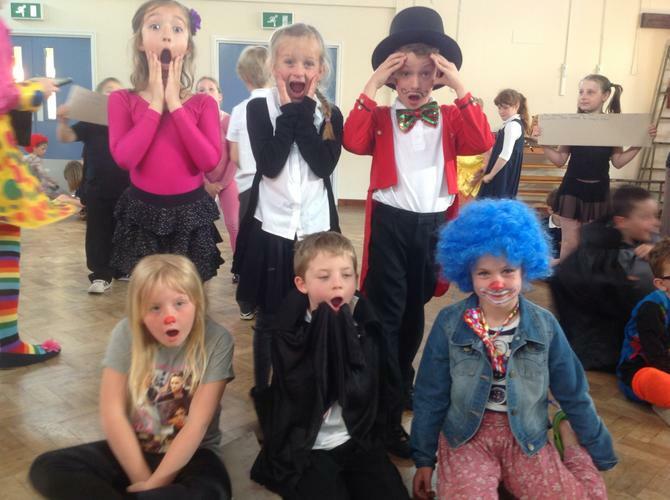 During the day we performed freeze frames of parts of the story, practiced circus skills, created our own clown faces on eggs and even made some juggling balls! 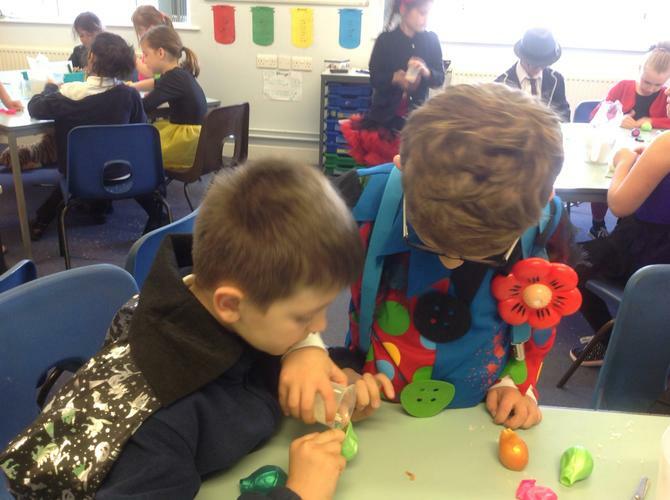 “The juggling balls were quite tricky to make but learning to juggle with them was even harder, lots of us kept dropping them!” Sam H.